Dear Applicants, are you waiting for RRCNR Apprentice Notification 2019 ??? If yes then here is good news for you. Northern Railway Department has issued advertisement of RRCNR Apprentice Vacancies. There are total 1092 Act Apprentice vacancies. All the Job Seeker who is interested in Northern Railway Recruitment 2019 can submit your online form here before the closing date, which is 31st January 2019. You can check more details about Eligibility Criteria & Other For Northern Railway Vacancies 2019 by reading the below article. Fresh Update as on 28.03.2019: Northern Railway Apprentice Cut Off Merit List has available now on official website. Those applicants who have applied for RRC NR Jobs can check their Cut Off Merit List here. Fresh Update as on 25.01.2019: Applicants who are looking for Apprentice jobs must apply online for Northern Railway Recruitment. Candidate should not delay in filling online application form for RRCNR Vacancy 2019. Last date for submission of registration form is very near. Interested participants may apply online on or before 31.01.2019. What is the Important Dates For RRCNR Recruitment 2018 – Northern Railway Apprentice Bharti? What is the Application Fess, Pay Scale & Selection Criteria for Northern Railway Apprentice Recruitment 2019? How Can I Fill Online Form For Northern Railway Recruitment 2019, RRC NR Apprentice Online Form? Important Dates for Northern Railway Ministerial Vacancy – What is the Last date of Submission RRCNR Recruitment Form? Where to Send Northern Railway Recruitment 2018 Application Form Along with Documents ? Northern Railway Recruitment 2018 | Am I Eligible For RRCNR Clerk & Steno Jobs ? Where I Send RRC Northern Railway Vacancies Application Form ? Candidates who are interested in Northern Railway Apprentice Vacancies can check Required education & age Criteria From here. You can also check these eligibility criteria from official RRCNR Notification. Candidates must have passed 10th (Matriculation) under 10+2 system with 50% Marks from any recognized Board. Appliers must have done ITI in respective trade fro Northern Railway Vacancies 2019. Minimum age of the candidates for RRCNR Recruitment 2019 must be 15 years & Upper age should be 24 years as on 31.01.2019. Relaxation in age for Northern Railway apprentice Jobs is applicable only for reserved category applicants as per Department rules & regulation. Candidates of General/OBC Category needs to pay Rs. 100/- as application fee for RRCNR Apprentice Vacancies. Other category appliers of SC/STR/PWD/Women are exempted from paying application fees. Application fees must be deposited through online mode only. Selected applicants for RRCNR Vacancies will be paid stipend per month as per department normalization. To get more details about Stipend for Northern Railway Jobs then read the official notification. Candidates for Northern Railway Recruitment 2019 will be selected on the basis of Merit List. which is prepared on the basis of marks obtain Matriculation & ITI. You can check more information related to Selection criteria for Northern Railway Vacancies then check from an advertisement which is mention below. Candidates who are eligible & Interested in Northern Railway Apprentice Vacancies can fill online form for Apprentice Jobs here till the last date. Read the below step by step process of Applying RRCNR Jobs Online form. By using these steps you can easily fill online form for RRC Delhi Recruitment 2019. Firstly, Candidates visit to the depart website www.rrcnr.org. Now click on official Northern Railway Jobs Notification link. Read all the instruction & Information from it. Recheck all details filled in Northern Railway Online form. Deposit application fees if required. Take print out of RRC Delhi Jobs Application form for future use. 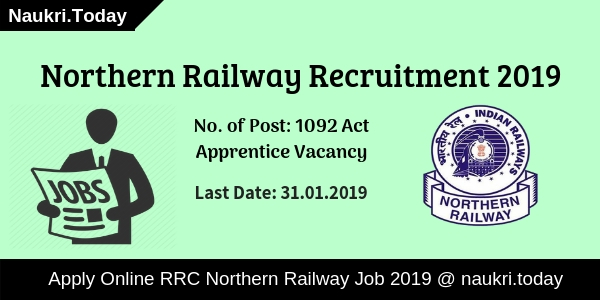 Conclusion: Northern Railway Recruitment 2019 For 1092 Act Apprentice Vacancies. candidates who are interested can fill online form for RRCNR Recruitment 2018 on or before the last date 31.01.2019. Check more details about RRC Delhi vacancies by read notification & From above article. Northern Railway Recruitment Cell has issued notification for re-engagement of retired applicants on 2600 Trackman Vacancies. Candidates should check here requirements for Northern Railway Recruitment 2018 such as qualification, age, etc. Candidates may fill up their application form up to 15 .10.2018 for RRCNR Jobs 2018. Applicants should download a registration form for Northern Railway Jobs 2018 either from links given here or from the official website. Interested Retired Participants must read below article carefully for furthermore information. Participants should check here eligibility Criteria For Northern Railway Recruitment 2018. Candidates should fill up their application form correctly. Participants should download official Northern Railway Recruitment 2018. The Department should check candidates record of 10 years/ service record of 5 years for Northern Railway Jobs 2018. For more information aspirants should check official Northern Railway Notification. Participants who have aged more than 65 years are eligible for RRCNR Trackman Recruitment 2018. Candidates should read Official Northern Railway Recruitment notification for more information related to an age limit. Northern Railway is one of the biggest department of India. It provided a good amount of salary to the selected candidates with some allowance. Candidates should read official notification of RRC Northern Railway Recruitment 2018 for more information. Selection of Participants should be done on the basis of their experience in Railway. The Department may also check applicant’s performance at the time of their service for Northern Railway Jobs 2018. Final selection of participants will be based on overall performance of aspirants in their record. for further more details applicants should consult to official RRC northern Railway Notification 2018. Candidates need not pay any amount for an application fee for RRCNR Trackman Recruitment 2018. The Department may exempt aspirants form the payment of Registration fee for Northern Railway Recruitment 2018. Check Official Northern Railway Notification for more information regarding trackman exam. Aspirants who are retired from northern railway it is a good opportunity for them. Interested candidates must apply online for Northern Railway Recruitment 2018 before the last date. Eligible Candidates must download registration form either from here or from official Website. Follow these simple and easy steps to download Northern Railway Notification 2018. Firstly, Participants should open the official website of Northern Railway i.e nr.indianrailway.gov.in. Candidates may search for Northern Railway Recruitment Section at Homepage. Now Aspirants should read the complete notification carefully. After that Candidates should download an application form. Now fill up all the details in the application form carefully. Candidates should attest all required certificate along with application form. Participants should send it to given address. Aspirants must keep one copy of application form with them. Conclusion: Northern Railway Recruitment Cell has issued notification for 2600 Trackman Vacancies. Interested candidates should check more details form above article regarding Northern Railway Recruitment 2018. Are you searching Northern Railway Jobs 2018? If yes, then here is good news for you. Northern Railway Recruitment Board has recently issued employment notification for 83 junior Engineer, Ministerial and other vacancies. If you are interested and eligible for RRCNR Jobs then you can fill prescribed application form either here or official site. The starting date for submission application form is 01.06.2018. Candidates can send their Northern Railway JE Vacancy offline form before the last date 29th June 2018. Furthermore information like eligibility criteria, how to apply and other are available below section. Railway Recruitment Cell, Northern Railway is inviting candidates for re-engagement. The prescribed application form of RRCNR Recruitment 2018 already available on here and official website. You can directly download here Northern Railway Vacancy Application Form. The link is available at the end of article. So read full page properly for more information. Applicants who are interested for Northern Railway vacancy must ensure that they are eligible or not. They should check what type of eligibility demanded for RRCNR Recruitment 2018. The details of eligibility is mention below. Only Retired Applicants from Civil Engineering Department are eligible for Northern Railway Recruitment 2018. Applicants who are engaged with other departments cannot apply for RRC NR Jobs 2018. Furthermore, details are available below. LARSGESS/Voluntarily retried candidates are not eligible for given vacancy. Those are not fit medically are also not apply for given posts. As on 29.06.2018 applicants should not be completed 64 years 06 months. Applicants must ensure at least six months working left after the engagement. Furthermore, information check Northern Railway Recruitment Notification 2018. The monthly salary for retired re-engagement candidates will be made according to his/her last drawn. Furthermore information check Northern Railway JE Vacancy Notification. Candidates selection will be made on the basis of medical fitness & committee selection report. Check official notice for rest information of Northern Railway Recruitment 2018. Interested and eligible candidates must fill the offline application form of Northern Railway Vacancy 2018. Candidates also have required documents with offline application form. How to Download RRCNR Jobs Application Form follow below instructions carefully. First of all, go to official site nr.indianrailways.gov.in. Download RRCNR Vacancy Notification 2018. Then Download Northern Railway Application Form. Fill the application form with all require information like personal, educational & working. Paste photograph and give signature in appropriate place. Now Northern Railway JE Application Form send along with require document to the address, which is mention below. Candidates can send their application form through registered post only. In envelope, Applicants must mention clearly Name of the post, which they want to apply. 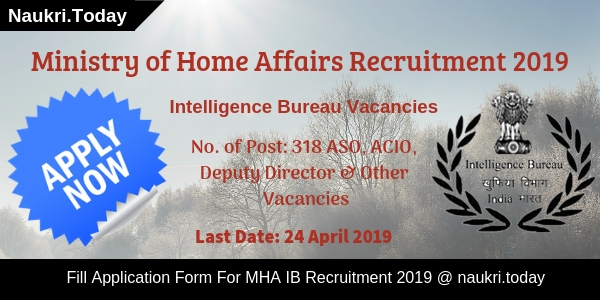 After that duly filled application form along with required document should send to “Senior Personnel Officer/Engg., Northern Railway, Headquarter Office, Baroda House, New Delhi”. Furthermore information check official Northern Railway Jobs Notification. Conclusion : Northern Railway Recruitment 2018 for 83 JE, Ministerial & other vacancies. Only retired civil engineer dept. candidates can send their application form through prescribed format. Full details of RRCNR JE Jobs collect from above article. Are you a Railway Retired Officer ??? If yes, then here is a good news for you. Here you can apply for Northern Railway Recruitment 2018. Railway Recruitment Board, Northern Region has published notification for filling up 153 Retired Ministerial Stenographers vacancies. Applicants who are interested and also fulfill eligibility criteria of RRCNR Vacancy may apply through offline or online mode. Northern Railway Jobs Form has already available on official site. You can submit you application form on or before the last date 05.03.2018. Railway Recruitment Board Northern Region is invites prescribed application form for 153 Ministerial Clerk & Steno posts. Retired candidates should download the application form from Northern Railway official site. 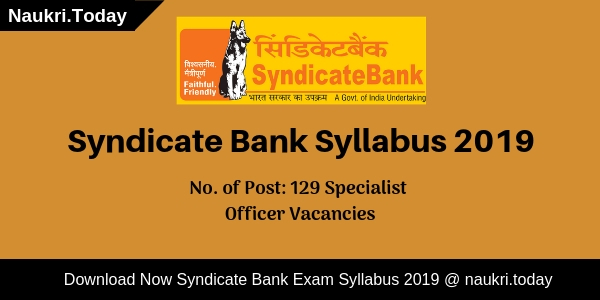 Furthermore details like education qualification, age limit, selection procedure, application fees, important dates, important links are mention below segment. Here you can check all details of Northern Railway Jobs on under topics. Candidates who are going to apply for Northern Railway Jobs must check eligibility criteria. If applicants not find eligible they are unable to fill the application form. Furthermore you should check given below eligibility details. Only Retired Railway employees are eligible for Northern Railway Vacancy. Candidates who are willing to work in overall Jurisdiction of HQ & Cost organization. Applicants should passed 12th class for RRCNR Recruitment. Furthermore you should check Northern Railway Job Notification 2018. Participants upper age limit must be 64 years 6 months for Northern Railway Recruitment. The age criteria is decided as on 31.03.2018. Applicants who are medically fit are can apply for Northern Railway Clerk Jobs. Furthermore check official advertisement. Applicants will selected according to their performance in previous job experience. Participants should be selected on the basis of candidates education qualification and their pervious grade. After selection of the candidates they will get a monthly salary given by department. The monthly remuneration of re-engaged retired employee will be equal to his last pay drawn minus pension. The prescribed application form is available for RRCNR Clerk & Steno Recruitment. Interested and eligible candidates can fill up the form. Applicants must required to enter all correct and complete information on the Northern Railway Jobs Form. The given below procedure may be apply by candidates. First applicants should go on to official site www.nr.indianrailways.gov.in. Go to news and recruitment info segment. Check Northern Railway Recruitment for Retired Steno & Clerk Post. Download RRCNR Recruitment official notification. Read it carefully and then download RRC Northern Railway application form. You should fill up the required details in Northern Railway Vacancy application Form. Enter details of your name, father’s name, dob, last working, educational and experience. Then put signature on RRCNR Job Application Form and paste your passport size photograph. Then you should recheck the application form of Northern Railway Clerk & Steno Jobs. Attach Self attested required documents along with application form. Duly filled Northern Railway Recruitment Application Form along with attested documents should be submit to given below address. You can also download the application form through direct link given below. Conclusion : Northern Railway Recruitment for 153 Retired Clerk & Stenographer positions. Download the application form from the given above link. Applicants should submit RRCNR Recruitment Application Form on or before the last date 05.03.2018. Sir, when exam date will be released ….